Most people who want to work from home or, who are currently working from home, are inspired to do so through some desire for freedom and flexibility. Whether you want to be able to spend more time with your family, travel and take your work with you, or just have the freedom to set your hours – working from home seems to be the answer. However, not everyone can work from home effectively. In fact, for some people, the effect of a work from home environment that is either isolating or chaotic on their productivity is so disruptive – they return to their 9 to 5. It’s easy when you’re sitting in your cubicle working your 9 to 5 to fantasize about what it would be like to work from home. The ideas of going to work in your pajamas, taking care of housework in between phone calls and attending school events with your kids each contribute to the dream of how wonderful working from home would be. Most people don’t think about the reality of how working and living in the same space can lead to an overall lack of motivation or how, without a self-imposed schedule, it is easy to slip into habits like skipping meals, not going outside and not exercising. 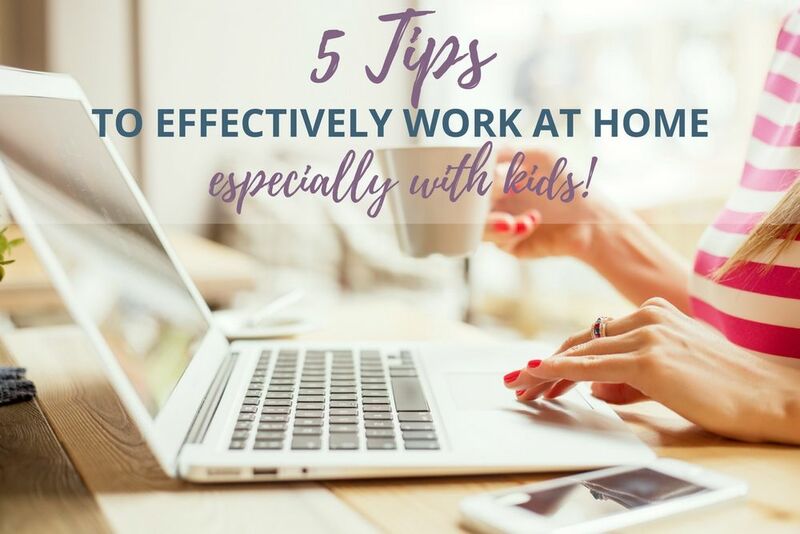 Also, if you work from home with kids, your work environment can be very hectic and will take some special considerations for you to stay focused and on task. Suddenly, working from home turns into working in either total isolation or constant chaos and the overall effect is a negative impact on your productivity and mood. So, how do people work from home effectively? What are the secrets of successful entrepreneurs and work at home moms who can balance the responsibilities of their businesses with the isolation or chaos of working from home? The first step is to be mindful and aware of this phenomenon. Whether you are interested in starting a work from home career or you are currently working from home, it is important to concede that your productivity will be affected if you don’t make an effort to set a schedule, interact with others, have activities planned to keep your kids busy and have a dedicated workspace. Working from home, whether you are an entrepreneur or a remote employee, means being very clear about what you need to be working on. This is especially important if you work from home with kids and are constantly being interrupted. If you are trying to start a blog or an online business, you likely have a long list of things you want to get done as fast as possible. A good way to make sure that you can work from home effectively and get things done on a schedule is to keep a planner or calendar of your projects and to-dos. I like to keep a running list of to-dos and then prioritize them by each week. I plan my week out on Sunday with the list of things that I want (or need) to get done that week and then each night I pick the top FIVE things that I want or need to get done the next day. I write these five things down in my planner for the following day – but, I put them in order of what I will get done first. PRO TIP: Put things that you really don’t like doing or just don’t want to do at the top of your list and get them over with. That way nothing else for the rest of the day will be “as bad” as what you have already marked off! When you work outside of the home, your day clicks along filled with scheduled interruptions. Things like attending meetings or having someone in your office for a check-in. It is rare that, when working outside of the home, your day is interrupted every on a regular basis every five or ten minutes. 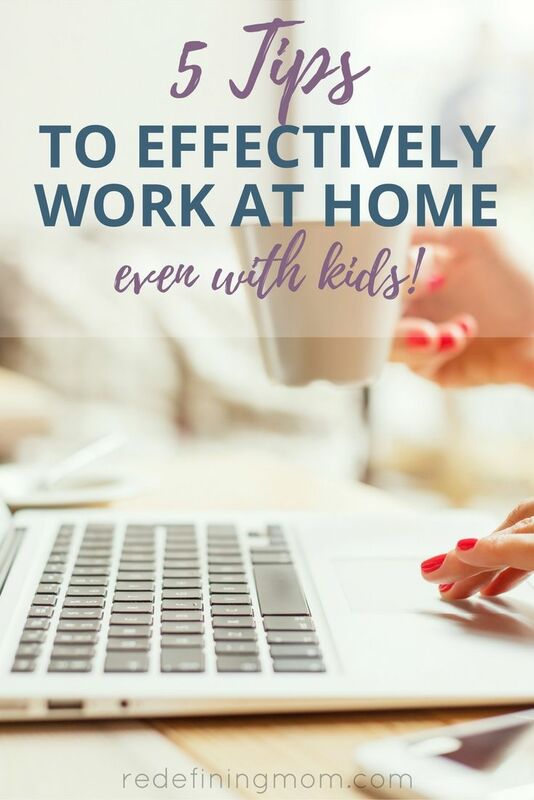 However, when you work from home, and especially when you work from home with kids, your day can be very chaotic and filled with interruptions. To work from home effectively, you have to put a plan in place for how to manage interruptions. Personally, I work from home with three kids, and I homeschool one of them. My favorite technique for managing interruptions is to implement the Pomodoro Technique using Toggl.com or the Tomato Timer. These are both great stopwatch-type programs that allow you to work in bursts of 20 to 25 minutes, and then check-in with your kids or your partner to see if they need anything from you before you go back to work. You can also use the microwave timer or even an egg timer in the kitchen. The point is just to make sure that you have clear boundaries for work time and the short bursts are far more productive than trying to work through repeated interruptions. Distractions are different from interruptions in that distractions can come in all different forms and don’t need to be caused by another person. In fact, things like social media and e-mail can be significant distractions. Having a plan for how to deal with them helps to keep distractions from taking up too much of your time and leaving you unproductive. A good way to deal with distractions, so you can work from home effectively, is to keep all of the browser windows, except for the ones that you are working with, closed. You can set a schedule for when you will interact on those platforms that are distracting. If you work from home with kids, it is that much more difficult to manage distractions. However, if you are minimizing interruptions effectively, you can also minimize distractions. Using earbuds to listen to classical music is a great way to minimize distractions by drowning out the background noise. Plus, the added benefit of classical music having been proven as a way to stimulate brain cells. When you are work from home effectively, you shouldn’t be wasting time looking up passwords or telephone numbers. You should have a project management program like Trello or Asana in place that manages all of the information about your business for you. I use Trello for the infrastructure of my business and I use a written planner for my project calendar and tasks. If you work from home for a company, as in you are a freelance employee as part of their processes, they may have a program they want you to use. If they are your only assignment and you don’t have a second or third work at home job, then it is fine to keep track of things within their system. However, if you’re like me, and you have several clients that you do a variety of things for as a freelance employee under the confines of your sole proprietorship or limited liability company (LLC), then you should implement your own project management program and maintain it. Editor’s note: Are you new to online business and unsure if you should be a sole proprietor or form an LLC? 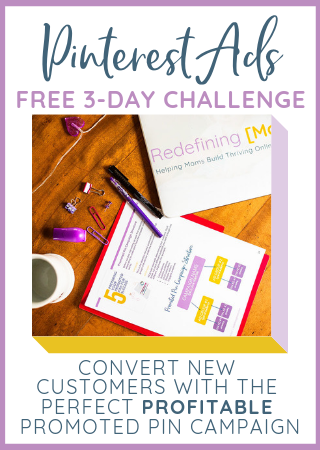 Sign up for my 7-day free email course: Busy Moms Building Online Businesses! Do you want to start your own blog but feel intimidated by everything you need to know? Take my FREE 7-day email course for busy moms looking to build their own online businesses. 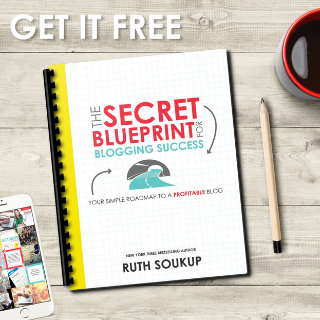 Learn how to start a profitable blog from a successful 6-figure blogger! Success! Check your inbox for your first email! When you work from home, it is so easy to curl up on the couch in your stretchy pants with your laptop and get lost in your projects. While this might sound like a great way to get a lot of stuff done, in the long run, it is more detrimental to your productivity than it is helpful. To work from home effectively, it is much better to have a set schedule that includes meal breaks and time for exercise. If you work from home with kids, these breaks are essential to your productivity as your kiddos will be bugging you for snacks every five minutes instead of having a small meal every two hours. Getting outside for a walk and some fresh air will do wonders for mental focus and emotional strength. Working from home means being responsible for your tasks, no matter what is going on inside of your home and that can be very stressful. If you can, schedule time at least three days per week to go to the gym or a yoga class and do some deliberate exercise. It is easy to get absorbed by your work and feel like there is never a good time to stop. That is why it is essential to set a schedule and make sure to carve out little chunks of time to stop and eat or move. Working from home is a real blessing to many people. For some, it means being available to family members or loved ones who need them. For others, it means living a work anywhere life and traveling the country. No matter what your work from home freedom is, make sure to protect it. Make sure you are putting these tips in place to work from home effectively. Marie is an entrepreneur, blogger, and mommy of three. 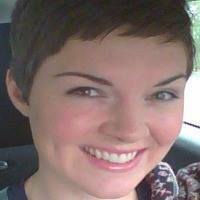 She and her husband own a marketing agency and they work from home and homeschool their kiddos. On her blog, Simple Happy Easy, Marie helps other parents learn how to start their own blog or online business while managing their household so they can work from home productively and have the freedom to spend more time as a family. Great tips, I work in an office but hope to transition to home after my daughter graduates from college. A change of pace would be great thanks for sharing. Great post. As a work at home mom, all of this rings VERY true. It’s important to plan and prepare for how to tackle your work and when you’re home with kids, how to be flexible with that plan. I’ve found that I need to save my most important word for nap and after bedtime and fit the lower priorities in where I can. I also have to focus on everything I do accomplish rather than what I don’t. Thanks for this! I love these tips. I plan on going to a work from home after my daughter is born. We personally can’t afford childcare. I am the working type and I know there are ways to earn money while at home. Cant wait to test the tips in the future. What a great article! Thank you. I am trying to be a WAHM but with a toddler and another baby on the way daylight hours are full of interuptions and distractions. I have to be flexible with my schedule depending on nap times and how the nightly routine has gone! Your tips will helpme prioritise the way I get work done; and remind me to schedule time for myself and exercise! Thank you. Great tips! I love having my week planned out on Sunday so I know when everything is going to get done. I think adding in a scheduled walk is a great idea!